They say the best things in life come in threes, and I tend to agree. The best times in my life are marked by three separate but equally exciting events. In 2010, I graduated college, moved to Nashville and got my first real job here at Rustici. There are three Golden Girls, which is my favorite show. There are three Musketeers, which is a delicious candy bar. Heck even the rule of three in writing suggests that “things that come in threes are inherently funnier, more satisfying, or more effective than other numbers of things (according to Wikipedia). So there has to be something to it, right? Recently we hired a really amazing trio of individuals, and we have to say, there really is magic in hiring in threes. John Mensel joins Jim Riggs as the other half to our dynamic duo of DevOps awesomeness. John will be diving in to change SCORM Cloud’s database from SimpleDB to Amazon RDS. John is also an avid cyclist (he rides to work almost every day — 25 miles EACH WAY). 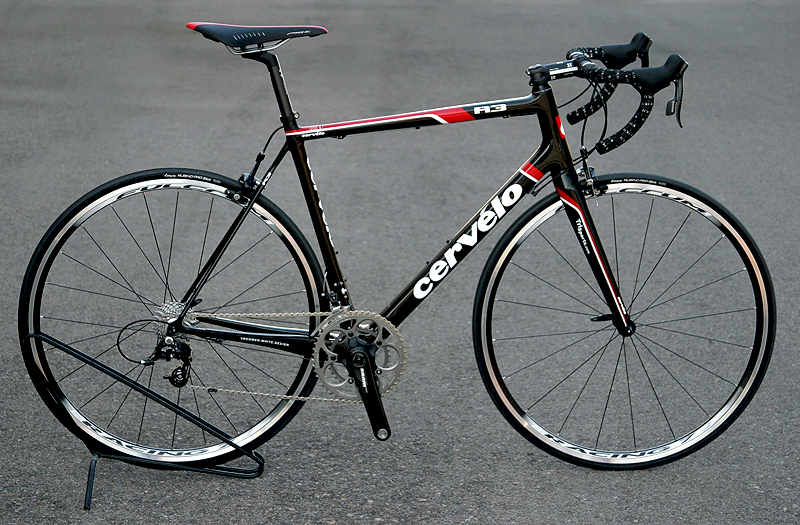 He incited a bit of office jealousy when the rest of the office saw his sweet ride: a Cervelo R3 road bike. We are really excited to have him and are looking forward to having John dive in and make our products more secure and more scalable. Gretchen Cadenas came aboard for a very unique role here at Rustici. You see, we’ve grown a lot over the past year… as you might have seen. With all that growth came the need for someone to keep an eye on the office and make sure we’re still running smoothly. In came Gretchen to save the day! Gretchen is making great strides towards making Rustici Software an even better place to be, and she’s certainly well equipped. Gretchen is a huge SMU fan and I’m hoping some of her sports enthusiasm rubs off on the rest of the office. And last, but certainly not least, we’ve added Laura Kennelly to the flock here at Rustici. Laura will be joining Jean, making our accounting department an actual department! Everything from paying vendors to helping forecast budgets will fall in Laura’s lap. But have no fear, Laura doesn’t scare easily—she’s raised five girls! We couldn’t be happier to have Laura with us, and her bubbly personality keeps everyone smiling.